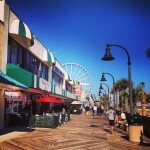 Plan on visiting Myrtle Beach this Summer? 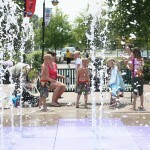 Check out our quick list of affordable attractions for families. Looking for a Christmas show unique to Myrtle Beach that is fun for all ages? Well this one and a half hour show will be the highlight of your Christmas. Locals all over the Grand Strand rave at the Pirates Voyage, saying the Christmas show is a spectacular event! 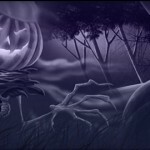 Set your Haloween off with a scare, at one of the Beach’s many haunted houses and adventures! From the infamous Ripley’s Haunted Adventure to the terrors of the Nightmare Haunted House, the beach has got it all. You can even take your loved one on a Ghost Walk in Conway! 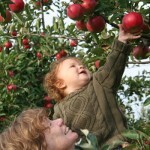 Fun Fall Favorites – “Pick Your Own” Places in Myrtle Beach! October is a great time of the year to get out in the fresh air and while you’re out why not visit a farm and pick some seasonal fruits! A short drive North of the Grand Strand and you’ll find Indigo Farms, the Grand Strands premiere farm. We know one of the main reasons you visit the Grand Strand, the Atlantic Ocean. Well you don’t have to enjoy the water from the sand! 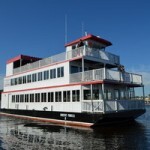 Why not take it a step further and check out these other attractions that get you out on a boat. 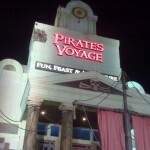 Pirates Voyage – Should You Go? A First Hand Look, Matey! If it is pirates yee seek, you’ve come to the right place. Ahoy Mateys! Nearly a year ago Dolly Parton’s Pirates Voyage opened, following a successful 19 season run of the popular Dixie Stampede. 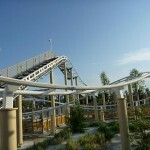 Freestyle Music Park attraction slated to open …. again? Three times lucky, at least that is what businesses in Myrtle Beach are hoping for the recently purchased Freestyle Music Park. The originally $400 million dollar investment was recently purchased for less than 2% of its original price. Remember the Ferris wheel at the county fair? As rides go, it was pretty lame. THIS, however, will knock your socks off! 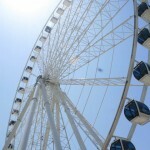 With views like you’ve never seen them, make sure to take your loved one on this SkyWheel during the day and night for two awesome perspectives!